It’s been a crazy busy month on this side of the world. But, my reward came early! 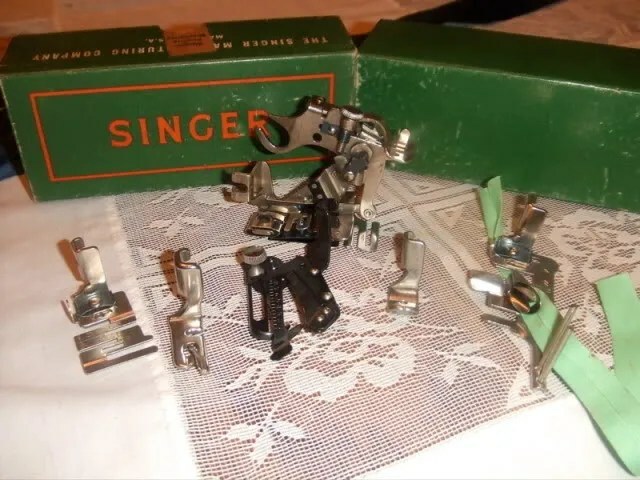 Remember when I bought the Singer 221 Featherweight? Well, one came without a case. The woman selling said her mom had the case and accessories and she’d let me know when she got it from her mom. Well, this morning I went and picked up the case. It was in perfect condition. 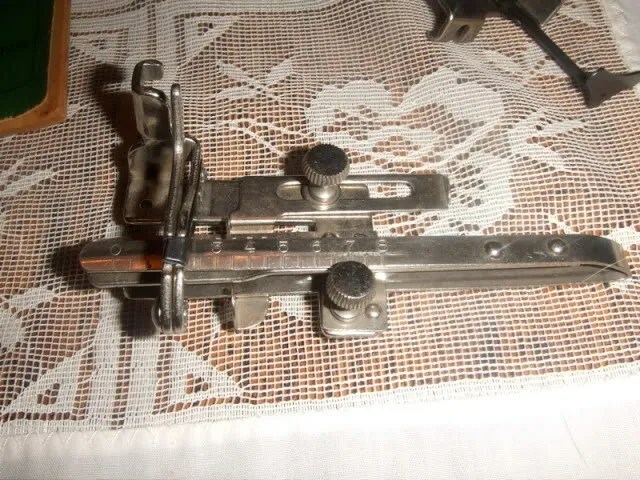 I noticed it was crazy heavy and I figured there must be a buttonholer inside. 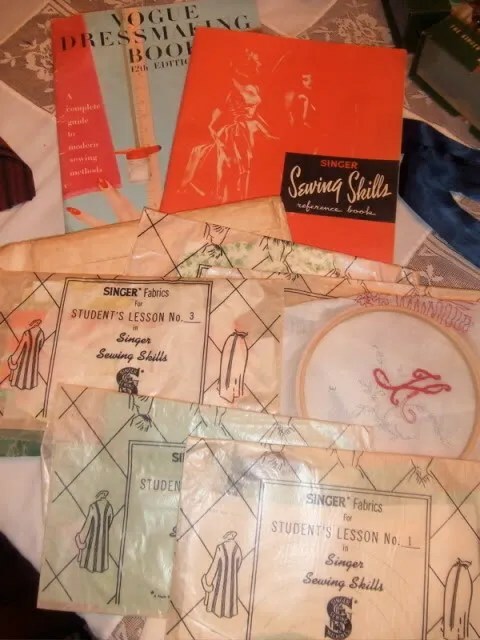 And these singer sewing lessons! Complete with samples from the class! And a complete box of accessories! 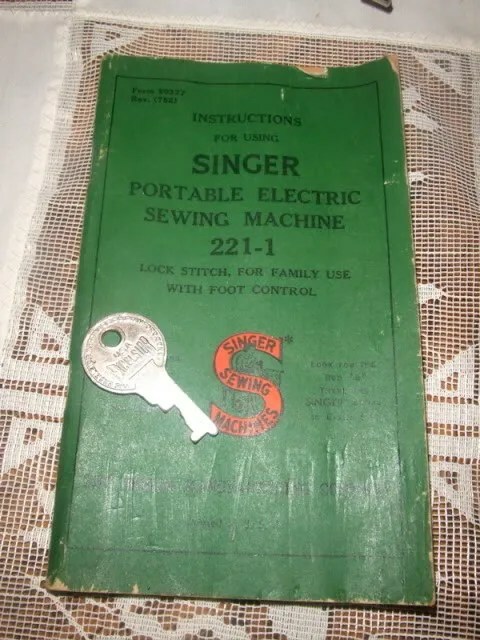 An instruction manual, two keys and a can of oil! This book was a delightful and generous gift from LindsayT who picked up on my love of the now defunct Cottage Living and Domino Magazine. 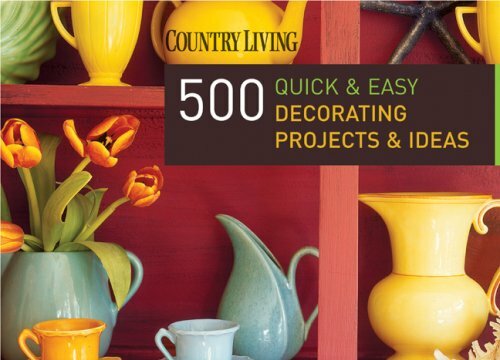 I’ve always called my personal decorating style Urban Cottage and this book will easily help develop it. Country Living is also where my favorite bake-at-home cake recipe is from. Despite being a total city girl, I’m in love with cottage / country decor. 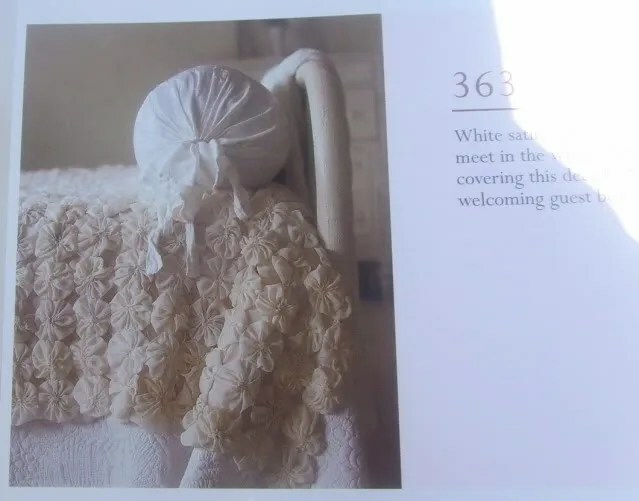 What I love about the country / cottage looks is the extreme use of fabric. What appeals to me about this book is that the aren’t trying to tell you that you can do anything when you can’t. Rather, they just want to show you the possibilities. This is not a book of how-tos, but rather photos with short descriptions of the how the color, fabric, flowers, etc. work for that room. 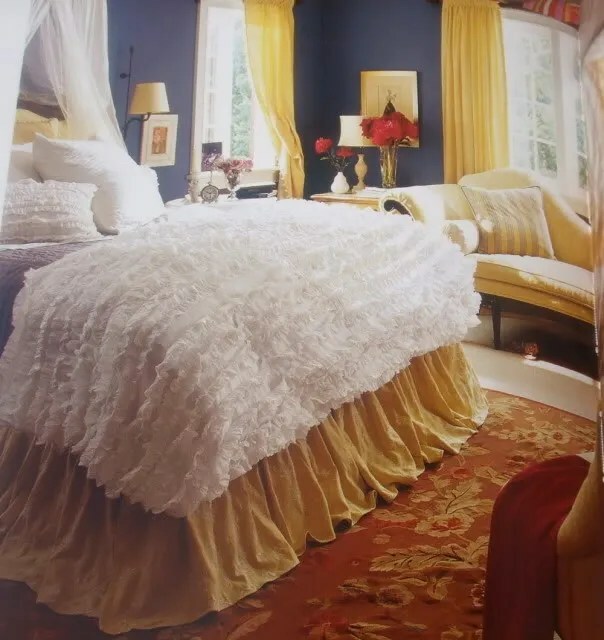 There is minimum text and beautiful photos straight from the pages of Country Living magazine. 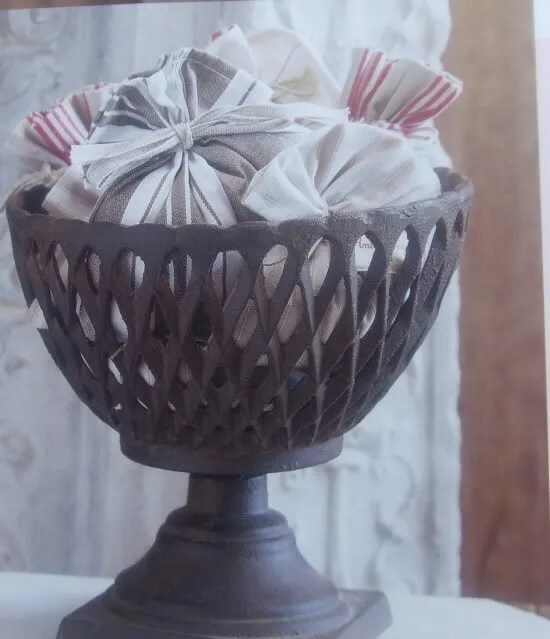 It covers Entries and Hallways, Kitchens, Bathrooms, Living Rooms, Dining Rooms, family and Great Rooms, Bedrooms, Kids’ Rooms, Home Offices, Small Rooms, Laundry Rooms, Porches and Outdoor Spaces, and Seasonal Decorating. But, some of the sections like Outdoor Spaces are all of two pages long. 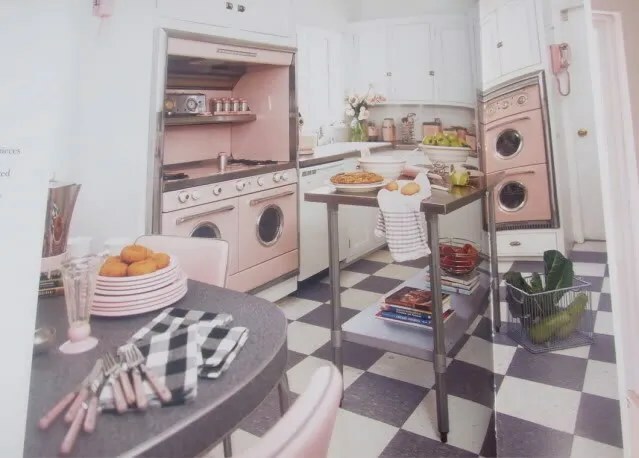 Pink kitchens. Seriously. I think I petted this page. More quilts and a long banister. 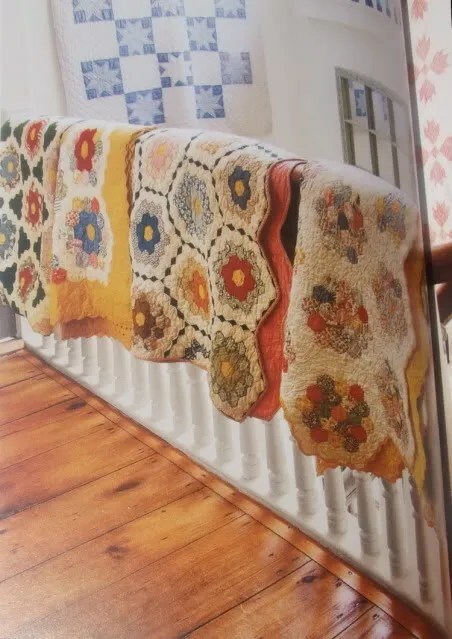 I love the use of quilts to decorate. Lots of layers, white and frills. If I made my bed, this would be so pretty. 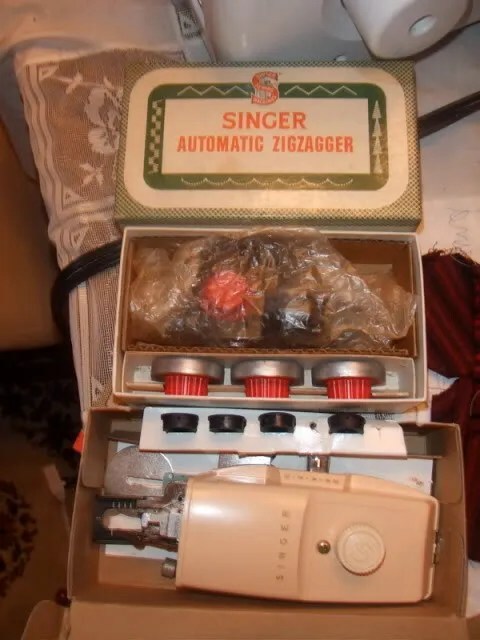 and a pink typewriter. Which has nothing to do with this book. I just want a pink typewriter. Bad. So, I read this standing in Christina’s computer room when visiting her in Seattle and was sold immediately. Right there in front of me for the first time, in one place, was a description of the. very. pattern. alteration. I needed to make. Remember my final project dress and how I shortened the back by about three inches out of the back? Every pants that dipped at the back waist because my crotch line wasn’t long enough? It’s because of my swayback! I put an alert on Half.com and the book was mine for under $20 in less than one month. 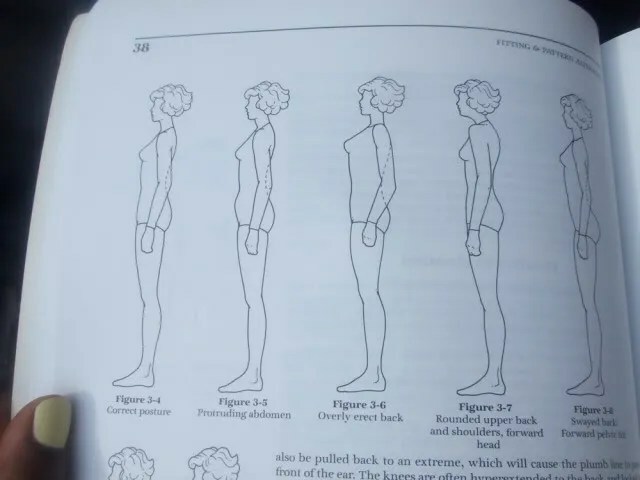 I am figure 3-8 and getting the shoulders of figure 3-7! 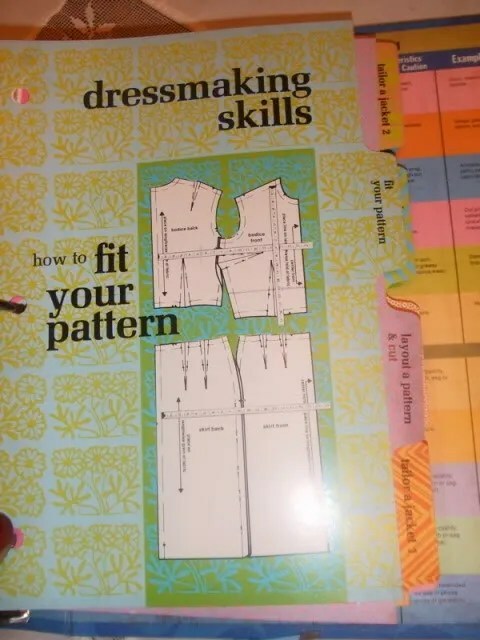 All I can tell you is that this is the most thorough book on fitting I have ever come across. I like that they acknowledge there is more than one way to solve a problem and give you at least three different methods to do so. In addition to the multi-method approach, they show an alteration on several garments. So, if you have a swayback, they show you on pants, they show you on a blouse and they show you on a skirt the ways to fix it. I also like that there is a discussion on what your body is doing to make the garment hang or fall the way that you don’t want. Oh, and I also so clearly have large thighs on the inside. Kind of excited about trying this alteration! Excellent resource. It’s possibly too complicated for those who haven’t tried simpler adjustments first. I first found this book on Kathleen’s “Little Hunting Creek’ blog. Then I saw it written up in the Spring 2009 Stitch magazine. With two ringing endorsements, I made the purchase. 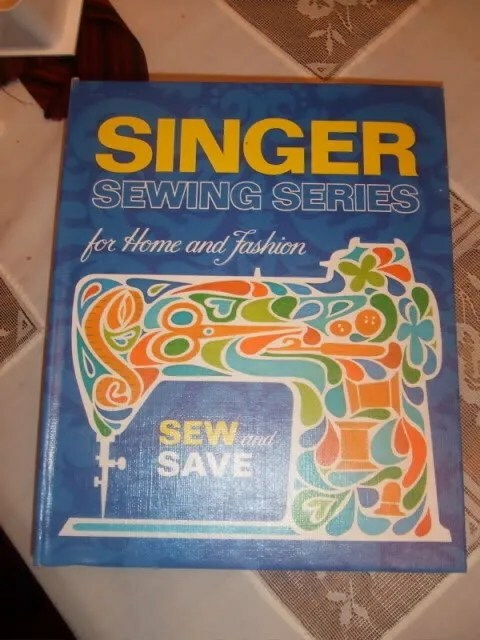 And, considering I rarely buy sewing books full price and haven’t bought a quilting book in aeons, that’s saying a lot. What a pleasure this book was to both read and thumb through! 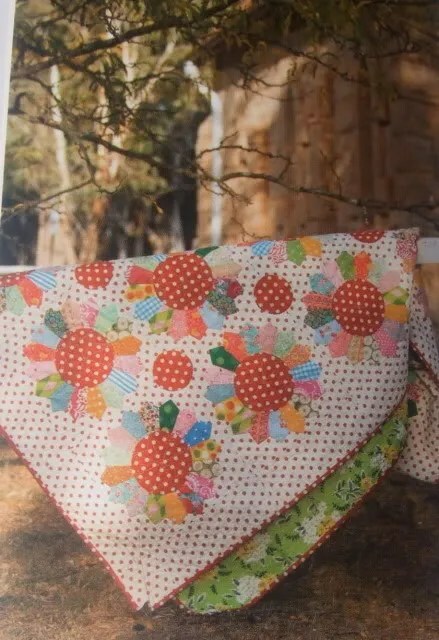 I primarily sew clothing, but I have always loved quilts. This book, in my mind, marries them both. The quilts are arranged from easiest to hardest and use the most extraordinary contemporary fabrics. 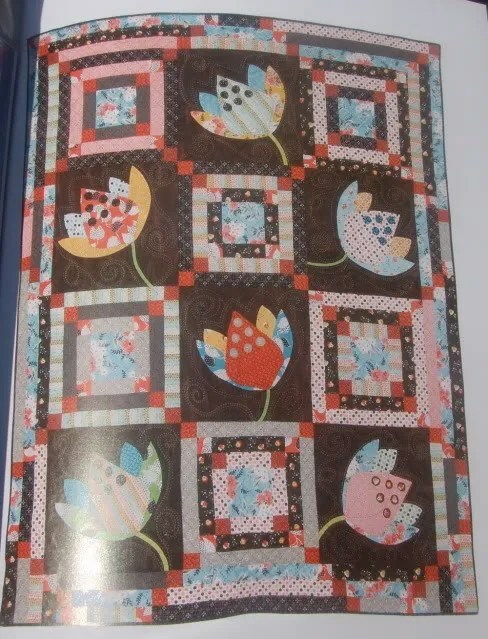 Using these fun fabrics, the quilts don’t look like what your grandmother would make or what you see in most homes. Instead, you have dresden plates with graphic prints and applique with modern figures. I would recommend this book to someone with much experience or very little. The book will serve you well as your skill set grows. In addition to great patterns, they have an always useful ‘how to’ at the back. So, it also makes a great reference book for the shelves. I ordered my copy from Little Hunting Creek. Between her great customer service and being just one state over, I was curled up in bed reading this one less than 48 hours after hitting ‘send payment’. 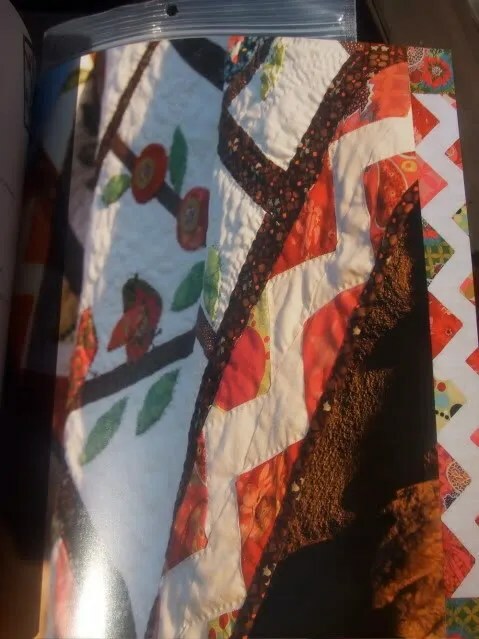 I’m sure you’re now super inspired to give quilting a whirl, right? If so, check out this fabric giveway on FabricWorm’s blog. She’s opened her first retail store and is celebrating the one year anniversary of the online shop. She’s giving away three fabric prizes! So, go to her blog to enter to win. Make sure you t ell her I sent you 🙂 And, with the money you saved in the win, you can order this book! I picked the following book for bookclub. We usually only read ‘serious’ books. But, each summer we pick a beach book. I thought this was a good summer read. Especially for those who like fashion and celebrity (umm, me). It comes out in paperback this July. $25,000 for a bag? Not so crazy in the circle that author Tonello travels in. How can Hermes claim to only make 100 bags a year and put people on a waiting list? The author was able to buy five at a time and spent years traveling the world lookng for new Hermes stores to buy from. All his wares ended up on eBay or sold otherwise online. What is ingenious is how Hermes built their name and the mystique surrounding them by totally faking exclusivity. The BEST chapter IMHO is when one of his bags is taken hostage. The rest of the book felt like filler to that point. Don’t get me wrong, I wanted to read something easy and light. And, this was read start to finish on a Friday evening after work. It is *not* high lit, but would be great for a marketing class. I was impressed with the ingenuity of the author and the thrill he gained from working the system. But, to read how ravenous others were for a handbag boggled my mind. The writing was *ok*. I did feel like the publishers asked him to throw in more about his romance and backstory to flesh out the book. I was also uncomfortable with him talking about his parent’s wealth, seemed to have little to do with the story. I think if you’re not interested in fashion and retail, this book will annoy you. If you are interested, you will be amused.